13680 ft (4170 m) Largest volcano in the world . 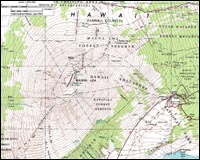 Mauna Loa, the "Long Mountain", is the largest volcano and the largest single mountain on earth, with an estimated volume of 20000 cubic miles (80000 cu km). 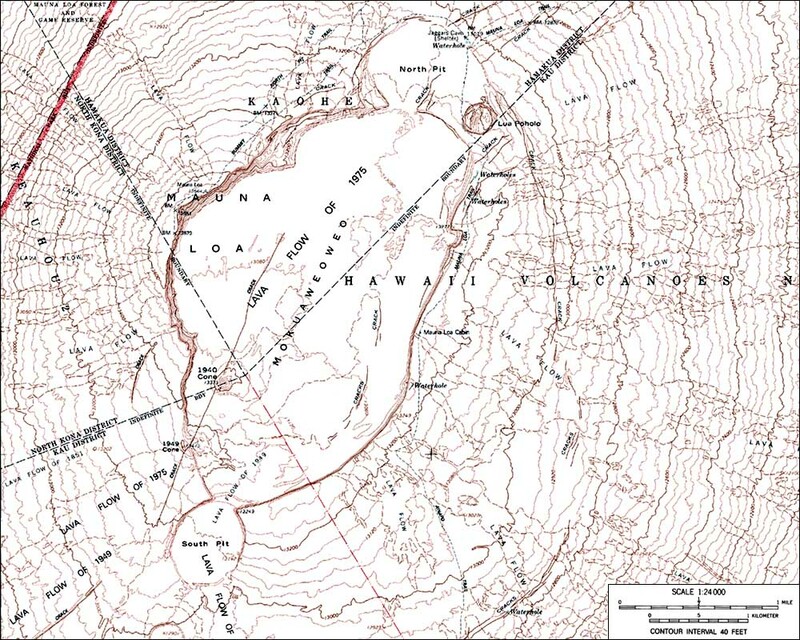 It height as measured from the seafloor exceeds 30000 ft (9000 m), but the weight of the mountain has depressed the seafloor by perhaps another 25000 ft (8000 m), making a total height of over 55000 ft (17 km). Unlike its slightly higher neighbor Mauna Kea, Mauna Loa is still young and active, erupting large lava flows every few decades which continue to increase its vast bulk. 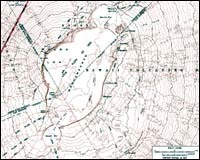 The summit area has several large craters and calderas, the largest of which, Mokuaweoweo, is about 3 miles long and 2 miles wide (5 x 3 km). 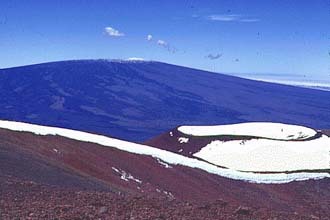 Snow often falls in the winter on the summit area, although amounts are somewhat less than on Mauna Kea since Mauna Loa is in the rain shadow of that peak. Nevertheless, snows can supposedly accumulate several feet deep within the caldera, providing miles of cross-country ski terrain, and the gentle slopes outside the caldera can also sometimes be skied. 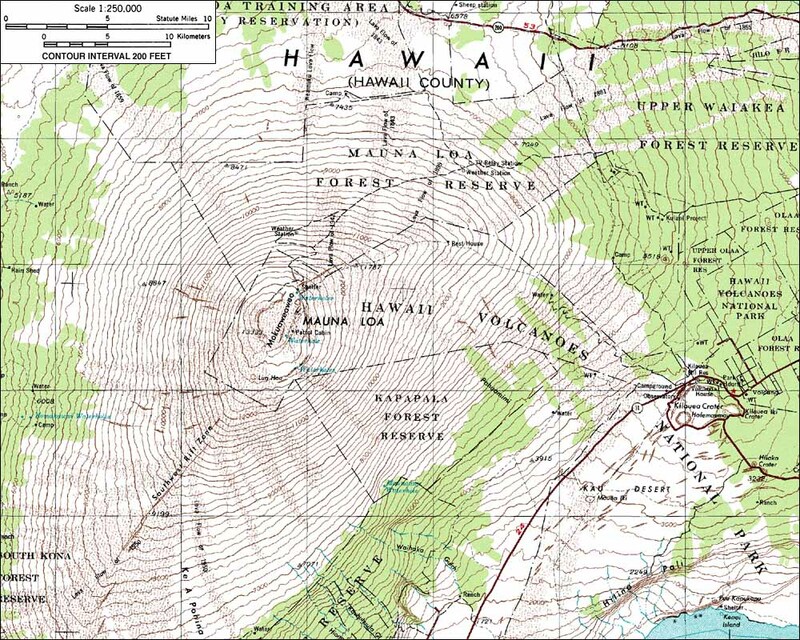 The shortest access to the summit is by a trail from the Mauna Loa Observatory at 11000 ft (3400 m) on the northeast side of the mountain.